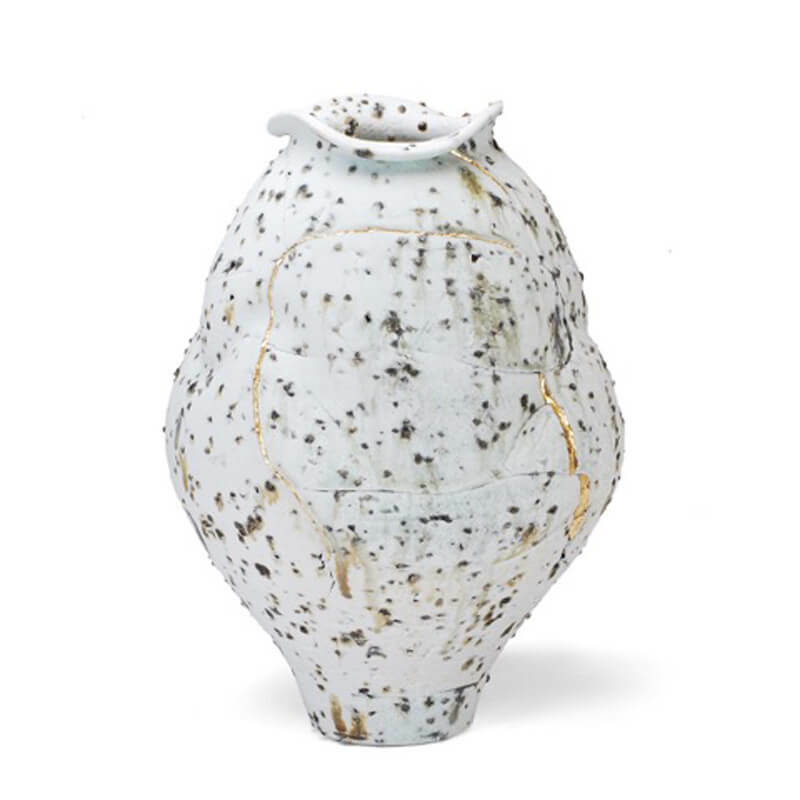 Perry Haas has been working in ceramics since 2003. He grew up in the western suburbs of Chicago. Perry first started working with Doug Jeppesen at Waubonsee Community College. There he found wood firing and learned about the process. In 2004 Dan Murphy came to Waubonsee: during his workshop Perry discovered Utah States University’s ceramic program and its wood fire history. As part of his experience in Utah Perry also studied in China at the Jingdezhen Ceramics Institute for the fall 2007 semester. Just prior to his residency at Red Lodge Clay Center, Perry was in residence at The Clay Studio of Missoula from 2011-2013. I approach making with a childlike spirit of experimentation and exploration. My work stems from a love of the wood fired ceramic surface, particularly how it evokes many beautiful natural phenomena. Like imagining the way wind gathers and deposits leaves on a landscape according to changes in topography, I anticipate the manner in which ash will collect differently on the convex and concave surfaces of my gestural forms. These functional pots are developed as a place for this surface to exist and to be enjoyed as a part of our daily life.